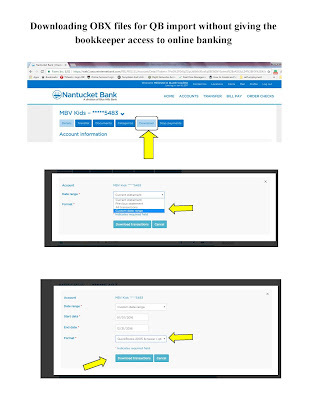 There are a variety of circumstances in which you cannot connect the online banking to the Quickbooks desktop file. 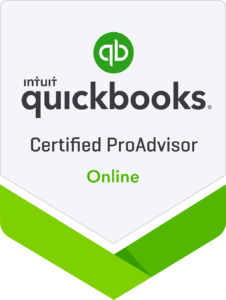 For any bookkeeper, or business owner, that has ever had to hand enter more than a handful of transactions into Quickbooks the pain is real. 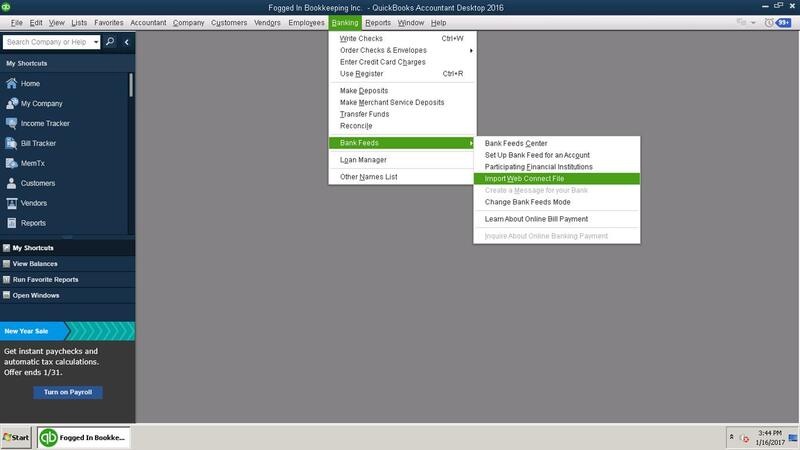 Alas, there is a workaround to help you import your banking and credit card data into Quickbooks without connecting the two directly. 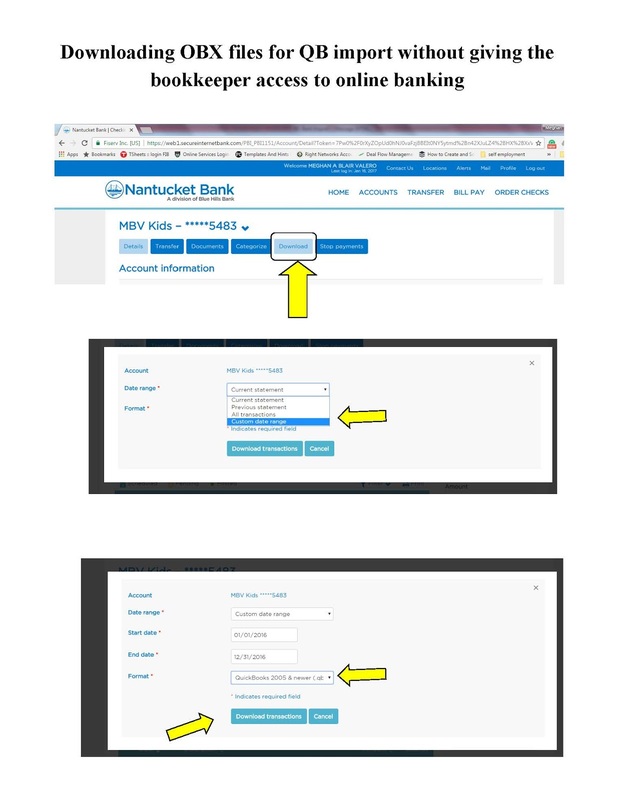 The answer is to download your data from the bank as Quickbooks download files (obx files) within your online banking interface and import those files into your Quickbooks desktop file. Downloaded files can also be shared with your bookkeeper for importing when sharing your online banking access may not be appropriate. Each and every bank and credit card is different so it may take a little navigation to find the download functions. With some banks if your business account is set up under personal online banking it may not be an option e.g. Bank of America, but in the majority of cases the function is there somewhere. 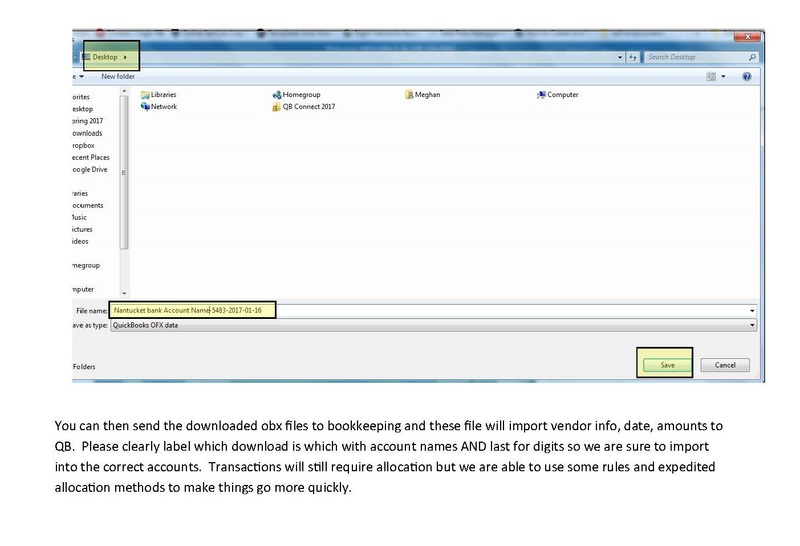 Once you have the file(s) downloaded you need to import them into Quickbooks. **If you are working with Quickbooks on a cloud hosted solution or remote host you will need to move your downloads to the server where your Quickbooks file is located. Under the banking drop-down menu select bank feeds and import web connect file and then select your previously downloaded files. The bank feeds window will then open automatically and allow you to allocate and post transactions.